Can you introduce us to the band Sawa? SAWA is a band, trying to dig out something unique but still very catchy. We are a Japanese indie band formed in Tokyo (Japan). We strongly believe that reaching out and opening up to each other and the world is the 1st step to move forward as a band. My father runs a traditional Japanese public bath (sento) in his own way. Usually, Japanese public baths wont welcome people with Tattoos, Yakuza (Japanese Mafia), elderly people who cant take a bath without help. But my father accepts almost everyone, including those people. Only if they can keep the ethos to share the sento space together with each other. SAWA would love to share the space, and to have space where anybody can come and enjoy, share their thoughts, time and smiles together. Tell us! How did SAWA come to be what it is today? At the beginning I was a solo singer/song writer, but when I met Hizmi through making the soundtrack to the well known Nintendo DS game The World Ends With You, we decided to create something original together; that was the beginning of Sawa. After writing several songs, we decided to form a Band pushed by our eagerness and supports from our fans and thats how we are today. What are the instruments used in your band? My main instrument is my voice, but I also play the tambourine and blues harp depending on the situation. Sometimes we share the stage with our friends who play keyboard, violin and/or flute. In future gigs, we might add or subtract instruments to have more experimental sounds on stage!! Something experimental and alternative based on rock sounds. Most of Sawas songs lyrics are in English, Why is that? Because, we are eager to go over the boundaries and borders created by stereotypes. We dont want to have you hear us with the first impression, Oh! Its a band from Japan!!. Itd rather you be surprised after listening to our songs and say, Oh! They were Japanese band? lol. We love to surprise people! Thats one of the biggest reasons why most of our songs are written in English. Although, it doesnt mean I dont like writing songs in Japanese. To tell the truth, we are working on some Japanese songs right now! What are your favorite songs and why? One Thing. It was the song that I sent to Hizmi as my self-introduction before our first meeting. From this song, we decided to create songs together, and without this song the current Sawa wouldnt even exist! Stay Away, this was the first song I created together with Hizmi and that was the beginning of this Sawa project. We felt some sort of chemistry between us while listening its demo. From our current EP, I adore Fly High and Figure and Shadow. Fly High is filled with messages and words from my past. I wanted to collect those heartfelt empowerment words in one song, and share it with my fans and friends!! Figure and Shadow is one of our newest sounds, and while creating this song I felt that our new experiments on sounds are going to start from here!! I used to listen lots of Canzone and Chanson music, influenced by my father in my childhood. I still love those passionate voices and emotional essence of the singers such as, Milva and Edith Piaf. The 1st CD I ever bought was The Beatles, when I was around 10 years old. I listen to Punk, Heavy Rock, and some other sorts of music too, but when I met Nirvana around 16, I was totally soaked into the grunge world. Later on, Mixture, Core, Metal sounds were also fun to listen but my interest was suddenly caught by some old sounds, such as Chet Baker and Tom Waits. From the current artist, Im a big fan of Muse. If you could cover any song in the world, which one would you choose? In Un Fiore, Que sera, Milord from Canzone. Im sure there are some more but cant remember now sorry. Do you remember your first show? How did you feel? Yes! Of course I do. It was at a cultural festival during High School in Virginia as an exchange student. I was very nervous back stage, but once I started to sing, it was a great fun. I sang 2 songs, and that was the moment I strongly felt that cultural difference didn’t matter, while we spoke through the language of music. Can you explain how a band rehearsal goes for you? The groove wont come out on stage, when our hearts are looking at different directions. So, rehearsal becomes a genuine communication between the band members, I think. What is the best moment you have experienced so far? As a band Sawa, our communication between fans and friends are based on MySpace. So, when we have a moment to see our fans and/or friends face to face and have a tight hug with each other, thats the best moment ever. In 09, many of our friends came to see us in Tokyo from everywhere, overseas and in many different areas around Japan. We really want to tour the world in the year 10 (Of course! including Australia). How do you see SAWA in the future? Well I have no idea! Maybe Im trying not to have a detailed image of the future of Sawa, trying not to bind myself by my image. My ambition is huge. I want to become friends with people all around the world, and enjoy our future together. I hope Sawa will be an inspiration for the positive power of your life. Thats the only thing I have always wished and I strongly believe this is the most important element when I think about the future Sawa. Would you come play for us in Australia? Well definitely come whenever we could get the chance to come. If you came to Australia, what would you want to see and do first? First, Id like to thank you for letting us step on to the land of your country, and then breath in the fresh Australian air and fill up my lungs. One of my first Australian fans have sent me a photo a few months ago, writing Sawa (+ BIG heart message on the beach) and thatll be the place I personally want to visit the most! Is it legal to sing one or two songs by the sea shore in Australia? We hope to perform more than 1 gig at an Australian showcase in our near future. Have you ever heard of Vegemite or tried it? Yes! I tried it when my little sister came back from 3 month home stay in Australia. That was a great souvenir! Nice experience, but I just had it once! My sister loves it but I heard its not easy to find it in Japan. and, Any last words to say or advice? Happy Yess has left the Building! And has found its way into Brownsmart. To every single person who enjoys listening to quality music by Darwin artists, this is big news. The Happy Yess has been one of the few not for profit venues dedicated to the music scene. Karaoke, choreographed gigs and everything in between have been hosted at the old venue a grungy, dilapadated structure. The way everything was held together by a combination of ingenuity, improvisation and bits of old twine and duct tape will be sorely missed by many. But that is in the past! The future for Happy Yess is its new home, Brownsmart. Brownsmart theatre, one of the oldest buildings in Darwin, has survived cyclones, bombing, looting and even temporary use as a brothel! It has been the site for many an event, from renowned plays to Darwin City Councils very own BIG GIG. And now, Happy Yess has been given permission to move in. The crew, led by the venerable Kris Keogh, consists of a variety of musicians, local tradespeople and locals willing to lend a hand, as well as the somewhat useless author of this article. Over the course of a few weeks, the new space has been painted and fitted by the crew, and the old Yess has been pulled apart. Now, as the move heads towards completion, there is plenty to like about what has been accomplished thus far. The whole area has been painted in Yess colours. A whole new, carperted, stage has been constructed, almost entirely out of milk crates! The entrance booth has been crafted from former workstations out of an office. The bar itself has been sculpted anew from pine and ply, with the workmanship of Darwins best. And the seating, with a nod towards the ancient couches, has been renewed with bus seats, milk crate couches and a whole new arrangement for the booths. So with much ado, next time you hear about a gig or similar local music event to be held at Happy Yess, head on over and see for yourself the wonderful new venue while enjoying the beats of local Darwin music. On Thursday 1st July, three students stood up and gave speeches of their own creations in one of the most difficult languages to learn. Since 2008, the Chinese government has been running the Hanyu Qiao Chinese Bridge Chinese Speaking Competition. The competition gives students learning Chinese a chance to show their skills in Chinese speaking, general knowledge about China and their cultural knowledge and performances. Twenty students competed for the chance to represent Australia at the finals of the competition in China. Three of them came from Darwin, one of them was yours truly, and the other two were Gabriel Heines and Jeremy Lung. All of the contestants performed incredibly well, with topics ranging from the humdrum families and activities to international travels and Chinese censorship. There were four winners, and while unfortunately no one from the Territory won, Gabriel won a special mention for his speech, in which he talked about the history of the Chinese in Darwin. Good work Gabriel! If you are learning Chinese, this competition is a great opportunity to show off your Chinese. And to those who are not, remember to consider learning Chinese due to Australia’s (and Darwin’s) proximity to China and its prominence in the world. Interested In Volunteering Overseas This Summer? Do you have an interest in health promotion or community development? Are you looking for your next adventure? Youth Challenge Australia (YCA) is an Australian-based, not-for-profit, secular organisation that actively engages youth in community identified development projects. Since 1992, YCA has mobilised young people to assist the growth of sustainable and positive community development both internationally and within Indigenous Australia. YCA recruits and trains youth to support development projects in Costa Rica, Guatemala, Guyana, India, Indigenous Australia, Mexico and Vanuatu. Our development projects range from 5 to 10 weeks in length and focus on poverty, education, gender equality and human rights, health and HIV/ AIDS, environmental sustainability and global partnerships. Check out their website for more information and to apply! Are you 18 – 26 years old? Do you have an interest in volunteering? Would you like to learn about Timor-Leste? City of Darwin is providing an opportunity for two young Darwin residents to undertake short term volunteer placements at a youth training centre in Dili, Timor-Leste as part of the Sister City program from 3 – 22 February 2014. I had the chance to speak with author Imani Wisdom about books, the business of writing, what drives her and what she hopes to show other authors. 1. Imani, tell our readers a little bit about yourself and the kinds of stories you write. Ive never been good at talking about myself; so Ill say Im shy, yet have a curious fascination with a myriad of cultures and backgrounds leading to my choice of genres, which are Paranormal and Psychological Fiction. Both genres plays into the mind of reader, as well pushing my imagination as far as it can go. Whats more, theyre fun to write with unlimited creativity at my disposal. 2) Tell us about Pink Noire. Pink Noire has been my brain child for four years. Originally named Wickedly Sweet Ink, I decided to change the name to something that signified sophistication and class. The original name was okay if my work were solely erotica. However, my novelette Zions Road is romantic suspense, and my upcoming debut novel is fantasy. But all of my stories carry some sort of paranormal element some subtle and not so subtle. I also want to be clear that Pink Noire is more than a publishing entity. Its a place for underrated, new, and seasoned talent; opinions about our crippling society; and where self-empowerment is beautys essential. Basically, the pink and black brand represents you and me the women who believe in the possibilities. 3) What are some other projects you have in the works. I havent written anything new recently, because my all of my focus is into Pink Noire. But my last manuscript is based on two people from different backgrounds, and yet share a dark similarity mental illness. This is not an ordinary love story. It has a hidden mystery into someones past, but it will take a lots of love and support to unlock it and close its door. 4) When you read a new authors work, what do you look for? Im character-driven, so I want to see how well-developed their characters are. Arguably, if their characters are underdeveloped it hurts the storyline. 5) What are some of the kinds of stories you would like to see more of? Good question. I would like to see more authors stepping from the status quo and take risks. We cant and really shouldnt assume what readers want. Those assumptions comes with redundancy the same storylines and characters. Writers have active imaginations, and we should go deep inside our cranium and write our actual truth. Forget what Author A or B is doing, and just write. 6) A lot of your work seems to be about uplifting women, especially women of color. Can you talk about that? Indeed that is true. Many of my leading characters are women of color. Most begin as meek and blossom into their independence; while some starts off as fearless, strong, and highly desirable, and yet convey a subtle self-conscious side. Therefore, the contrast between these characters comes down to one word: self-esteem. You can grow from the shadows of uncertainty and become your own infrastructure; or, hide behind it to convince outsiders. Too little or too much self-esteem can go either way. 7) With work and family I dont imagine you have much time for tv. but what do you enjoy watching. I dont watch a lot TV, but if I do Ill catch a historical or social documentary, reruns of old sitcoms, and a good ghost story on Lifetime Movie Network. 8)What bit of advice do you know now that you wished somebody had told you before? I wished a seasoned author with years of experience in self-publishing, would have sat me down to remind me that self-publishing is no different than opening your own business. To build any business, you need a capitol. The same thing with self-publishing books, it takes money to hire an EXPERIENCED graphic artists for the book cover, money for marketing, and most importantly, a good editor that understands it takes a lot more than copy editing to make a great editing. Most of authors, including me, call our projects our babies. So Im sure if we want our babies read by the masses, we cannot sell our babies short by cutting corners. And who will catch the lackluster effort? The reader who is also a reviewer. 9)Can you tell our readers where to find your work and your website? You can find Zions Road: A Love Story about Faith and Redemption on Amazon and Barnes and Noble, as well its excerpt and my upcoming debut novel, The Journey of Ruthie Belle excerpt on www.imaniwisdom.com . The venue is simply spectacular. This venue is ideal for the nature loving type of bride, who’s not scared to kick off her heels. When choosing a wedding venue, there are an infinite number of things to consider to make certain that you’re selecting the ideal venue for you as well as the form of wedding that you want to host. You’ll need to discover whether the venue features decor, sound and lighting on-site and the expenses involved (if applicable) and in case you have the choice of outsourcing your own decor. All you have to find now is an excellent wedding venue as the ideal wedding is dependent upon the perfect venue also. Selecting the perfect wedding venue is most likely one of the most important measures in wedding planning. You must be cautious when deciding upon the appropriate Melbourne wedding venue for your big day. Venues will often have the ability to supply you with an array of services like food, drink and music. These venues are going to have cozy environment, while having the capability to accommodate the quantity of guests you’re inviting. This original venue can cater to all your different ideas throughout the year. Today many venues offer you an all in 1 package that has the ceremony and reception. There are numerous great wedding venues in Johannesburg that is a best town due it’s very convenient site. Your wedding can happen in a lovely rustic chic tent or in the exact rustic barn. As stated by the different kinds of Maryland wedding venues, acquiring a wedding outside is usually a lot more reasonable. Whether you intend to have a destination wedding, a wedding a brief way out of town, or within close travelling distance to the majority of your visitors, it’s so important to think about the location of your wedding venue regarding how easily it are available by your visitors and the distance your visitors might have to travel to achieve your venue. Considering that you would like a little wedding, if you choose a place too large, then this won’t be a cozy event. A A little wedding would give you the chance to splurge a little more on your flowers, to have a lush and lovely setting. Special weddings take an exceptional spot. Take pleasure in the wedding which you dream about in Bali and our team will allow you to make it unforgettable. For one, you don’t require a wedding venue! Before visiting your list of wedding venues, there are a couple of things which you will need to ponder so you know precisely what you’re searching for. You have the standard wedding venues like the several churches but additionally, there are many other cool venues. In case the venue doesn’t have insurance, then you are going to want to cover the price of insuring the venue for the duration you will use it. Booking that dream venue is among the initial and most critical things on your to-do list. It is rather vital whilst taking a look at wedding venues to consider the guests. Selecting an ideal wedding venue is among the most significant and hard decisions you must make. Affordable wedding venues are often right below your nose, it is nearly as if they’re kept secret! There are a lot of beautiful wedding venues your head might be spinning with possibilities. As the tea isn’t much processed, the organic nutrients aren’t lost during processing. It would vary based on the kind of tea. Green tea is offered in various flavors, you can pick that is best for your taste. It is probably the most healthiest weight loss drink. It is wise to use green tea leaves, in place of tea bags, since it let’s the extracts of both herbs blend properly. The fantastic thing concerning this organic weight-loss tea is its capacity to rapidly burn fat and promote a healthier digestive system plus encourage the development of healthier shiny thick hair and clear soft smooth skin. If you discover each tea has antioxidants inside them. Dieter’s Tea is another popular and appealing weight reduction product readily available on the market. This tea also serves as an antidepressant. It contains a wealth of antioxidants. This form of tea is believed to be a great antioxidant and can eradicate body toxins thereby cleaning the entire digestive system. Oolong tea is helpful for your body. Drinking oolong tea on a normal basis is an excellent method to burn those additional calories and in addition it provides you that energy you should carry on your day. Several varieties of the tea can be found in the industry. It is available in the form of tea bags. Essiac herbal tea is among them. As a tea drinker, it’s always pleasant to chance upon a new tested tea. The tea alone cannot lower your weight. Nowadays, ginseng tea is a favorite herbal drink all around the Earth, and is used by men and women for its rejuvenating properties. Furthermore, these teas might interact with certain medicines. Additionally, this herbal tea is dangerous for individuals with gallstones or other kidney-related troubles. Now that herbal teas and supplements are so easily accessible to anyone online or inside a retail shop, it is critical to understand precisely what is found in the all-natural remedy you’re considering. Tea tree oil is crucial have at my home, it gets used for something virtually every day. To reduce your weight and lessen the appearance of jowls, you should drink lots of water. It’s suggested they’re best served on ice with just a lemon wedge. Herbal Remedies for Type two Diabetes as a way to take care of type two diabetes naturally, you have to know which herbs may be used to reduce your blood glucose. So, because you can gauge by this time, chrysanthemum tea benefits are really innumerable. For people who don’t want to spend the effort of creating tea at home, tea bags of artichokes are offered on the market. The theory behind the Chinese weight-loss tea being a useful slimming agent hasn’t been carefully studied. Simply sipping green tea daily can allow you to reduce your weight and decrease that hard to lose stomach fat. Greater use of green tea is likewise an effective method to eliminate a double chin. Caffeine content in green tea isn’t alarming when compared with white tea. Gin has many weaknesses. There are several kinds of gin that are employed in several styles. It is made by fermenting juniper berries. Later, in reality, it is looking for a memory card that contains information crucial to the Organization. As a result, it is severely poisoned. It was used in the past for making cocktails, apparently vodka seems to be a popular spirit used for mixing. 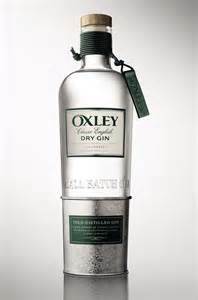 Gin is created from distilled juniper berries. If it is not available, you may go for white wine. As mentioned before, it is relatively recent. It is produced mostly in United Kingdom, Holland and the United States. The gin wasn’t the very first machine though. 80 proof gin is known as dry gin’. Bear in mind, however, that some purists insist that this sort of cocktail made out of fresh juice isn’t, by definition, a Gimlet. It is believed to be the 2nd most popular cocktail, after Martini. Today, martini is available in many types, according to individual alternative. For a lot of people, gin martinis were the sole drink available. Now, there are a number of forms of cocktails within this world and a lot more would be coming later on. Whichever type you would like or which cocktails you like to savor, being conscious of the calories in gin is necessary for you, particularly if you’re a health conscious individual. Nowadays, the drink is among the most popular cocktails on earth, and is produced in quite a few versions. Although it was first invented to make bad rum drinkable, it is now one of the most popular cocktails in the world. Speaking of beer, it’s the most consumed alcoholic drink throughout the world! Beer is the favourite drink of the majority of men. Skipping the brief history of beer, let’s just learn how many kinds of beer are there. Most folks love drinking beer. Often, people don’t understand that alcohol beverages add calories to their everyday calorie intake, resulting in weight gain. This drink is divine if you want a fast fix without needing to gather lots of ingredients. Let’s take you get through the kinds of alcoholic drinks and it will be less difficult for you to be aware of precisely what you are getting involved in. As many flavored alcoholic drinks are offered on the market these days, you can also make your own custom made cocktail at home, if you’re ready to experiment a little! The worse you’re at thinking, the better you’re at drinking. This drink is straightforward and all alcohol. It’s the ideal ladies’ drink with only the right quantity of vodka and orange liqueur. You are going to learn how gin makers utilize a reach of conventional approaches to make the drink and, obviously, you’re going to be in a position to sample it for yourself following your guided tour. There are just 3 letters in the word Gin” but there’s a higher proportion of refreshment and flavor in every drop. If you’re on the lookout for instructions on how best to play Gin Rummy, you ought to take into consideration the simplicity of the way that it is presented. This shouldn’t be a problem as there are instructions on how best to play Gin Rummy online. It may not be something that you would play given that there is a multitude of online games to choose from. Rangiku recognized he must have spiritual energy too. Before discussing the nutrition facts, you have to understand the fundamental classifications whereby gin is divided.